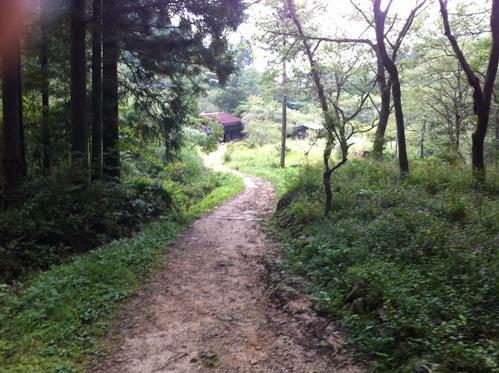 Walk Through Time Along this Unspoiled Stretch of the Historical Nakasendo Road. Imagine yourself as a Daimyo lord travelling the historical Nakasendo Road between Kyoto and Edo (the old name for Tokyo). Much of the way has been replaced by modern highways, but the section between the Magome and Tsumago post towns is one of the best preserved. Starting at Magome-juku (elevation approx. 600m), a post town on a hillside with expansive views of the surrounding mountains and plain (think "big sky"), the Nakasendo trail crosses Magome Pass (elevation 800m) and descends to Tsumago-juku (elevation 450m), a post town tucked into a steep valley ("small sky"). The 8 kilometer walk takes approximately 3 hours. Along the way the scenery changes for pastoral countryside to thick forest, and you pass old ocha-ya tea houses and waterfalls. Bus or taxi service available for return trip. Luggage forwarding service available at the respective Tourist Info Centers. Wear proper footwear and clothing appropriate for the weather (especially in winter). From Nagiso Station (JR Chuo Line), 40 min walk or 10 min by bus to Tsumago. 35 min by bus to Magome. From Nakatsugawa IC, Towards Kisofukushima. 30 min to Tsumago. Take Route 19 north to Magome (approx. 20 min). Kisoji-inn Daikichi : Small Inn Featuring Warm Wood Touches in a Relaxing Natural Setting. 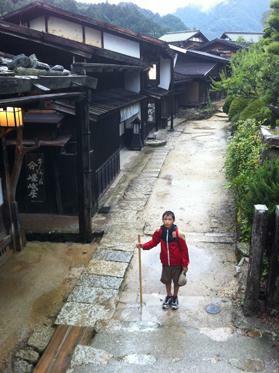 Tour Tsumago's Historical Lodging : Enlightening Tour of Tsumago’s Excellently-Preserved Honjin Inn. 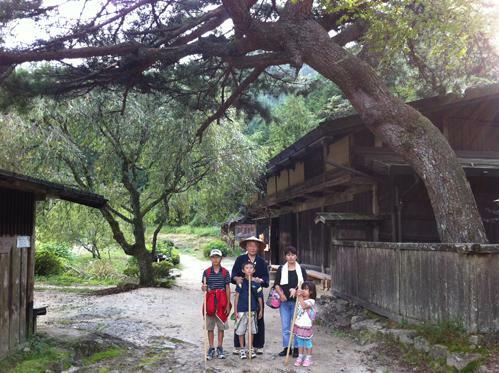 Experience Southern Nagano's Historical Past : Hands-On Activities to Experience the Historical Past of Southern Nagano.